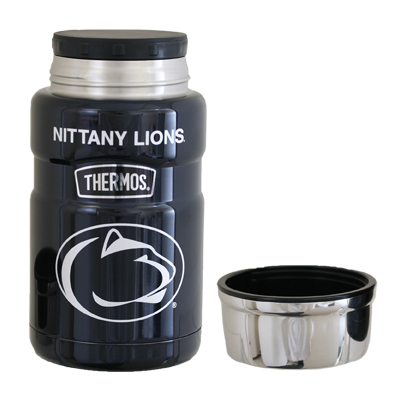 Thermos® Stainless King™ Beverage Bottle- Spirit Products Ltd.
40 oz. Thermos™ double wall stainless steel bottle with vacuum insulation technology for maximum temperature retention. Cool to the touch with hot liquids, sweat-proof with cold. 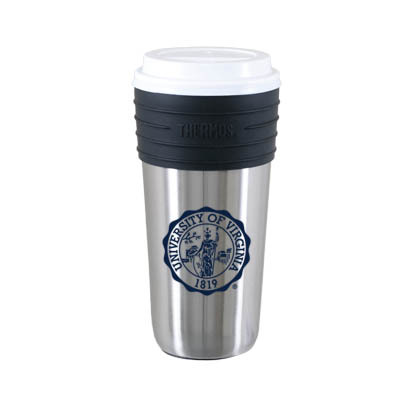 Lid doubles as an insulated stainless steel serving cup. Twist and pour stopper lid. Convenient carrying handle. Hot: 24 hours. Cold: 24 hours.